How to measure the T/S parameters using SoundEasy? The T/S parameters are easily extracted after making the impedance measurement. We know that we can get the basic T/S parameters using a signal generator, a resistor and a volt-meter. We already discussed this here. Vas needs additional tinkering and measurements, but just from the free-air impedance curve you can get a lot of parameters. For our example, we will use our handy-dandy SEAS CA18RNX. After that, go ahead and click the right arrow at the top. Scroll until you see the the T/S tab. Go ahead and click it. Now you have to enter the diameter of the speaker and the Re. 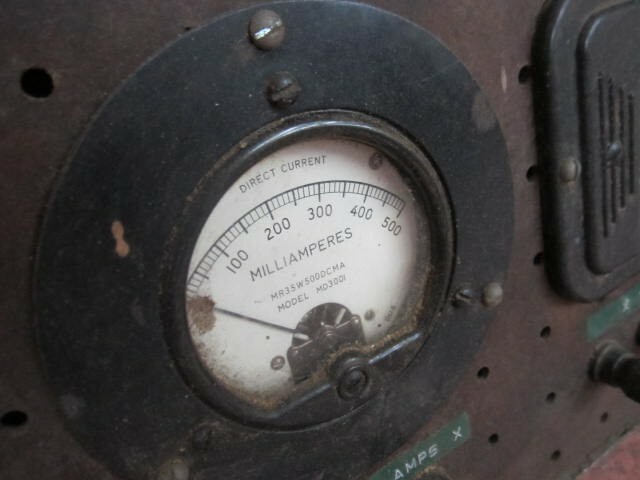 Go ahead and measure the DC resistance of the speaker using an ohm-meter or a multi-meter. If you don’t have one handy, you can use the value stated in the spec sheet of the speaker (but that defeats the whole purpose of measuring). Enter the effective speaker diameter. Take note that this is the actual diameter of the cone (not the standard 6.5″ , 8″ speaker dimensions). Usually, it is supplied in spec sheet. However, sometimes the effective area is quoted, and you can calculate the diameter. Other times, it’s not quoted and you have to measure it, using a ruler. Considering it has symmetrical screw holes, you can use them as reference and align the ruler correctly. Next, measure from the apex of the surround to the apex of the surround on the other side (the middle of the surround). Measured Re = 5.98 Ohms. Effective diameter is 13.16 cm. Then click “Get Current Zin”. This will use the latest impedance measurement curve. The added mass method. You add a precisely known mass to the cone, to shift its resonance frequency lower. After taking an additional impedance measurement, you can calculate Vas by comparing the 2 curves and knowing the exact added mass. The test box method. You place the speaker in a perfectly sealed box. By knowing the exact volume of the box (make sure you mount the speaker with the magnet facing outward, so you don’t lower the internal volume of the box), you also know the compliance. In conclusion, after making another impedance measurement of the speaker+box, you can calculate Vas. Making an accurate Vas measurement is always a pain, since air properties influence the result. But, just comparing the 2 methods, the accuracy of the test box method is superior. In our example we will use the added mass method, because it’s easier to conduct. The test box method implies building a sealed enclosure just for this measurement. My pick is the added mass method. Although, not as accurate, it’s definitely more convenient. You can use different objects to place on your speaker cone. Usual choice is clay. However, I use some special plasticine from the toy store. It’s not the usual one, but rather gooey and slightly sticky. First of all, use a precise scale to measure it (down to 0.1 grams). Secondly, I stretched the plasticine and tried to put uniformly on the cone. Usually I do a much better job on spreading the plasticine / clay around the speaker cone, but this speaker uses a very fragile paper cone and I don’t want to risk damaging it. If you chose the test box method, just mount the speaker to the box with the magnet sticking out. The volume chosen for the box is not that important. However, what is important, is that you know the volume precisely. In my opinion, something around 15-20 liters would be fine. Adding the plasticine to the cone increases the moving mass of the speaker, and in effect, lowers the resonance frequency. Let’s go back to the MLS tab, and take a new impedance measurement. Same applies if you opted for the test box method. As you can see, the peak in impedance happens at a lower frequency. Head back to the T/S tab. Depending on which method you chose, enter either “Test M” or “Test Vb” value. In our case, we enter the value of the added mass (82.9 grams). Before we extract the rest of the parameters, we need to click the “Get Current Zin” button, so it uses the latest impedance measurement (the one with the added mass). Finally, go ahead and click the “TS using Delta M” (or the other one, if you used the test box method), to get the full list of parameters. This is one of the many ways you can measure the T/S parameters. At a closer inspection, the parameters differ slightly from the ones quoted by the manufacturer. This is not uncommon, because not all speakers are the same, even though they go through the same manufacturing process. As a result, the spec sheet of the speaker actually contains the mean values. If you plan to use SoundEasy for modelling purposes only, and have a more accurate device for measuring T/S parameters, you can use that instead and input them manually (or import them).